Hi gang, it’s been some time since I have written. It has been a busy year not so much in the Bigfoot world but my personal life and all for the good. Once again I am a Licensed Private Investigator and am in process of launching an Investigation agency. My field teams to the East and West have been working their areas and developing new areas and am excited at the possibility that spring 2018 will bring us some great results not seen since that of 5-6 years ago. New equipment is in and will be using to enhance our coverage of our field team and looking forward to some more field testing of the said equipment. 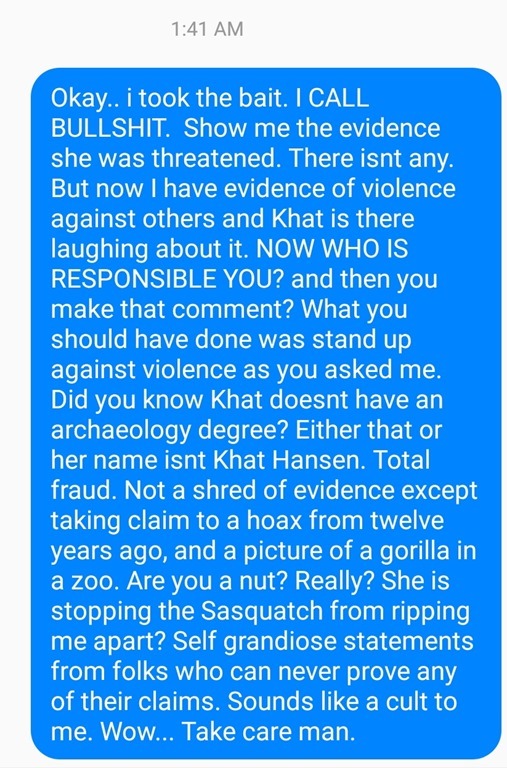 I have laid low because the vitriol in the Bigfoot “Community” has been at an all time high not seen in a long while. 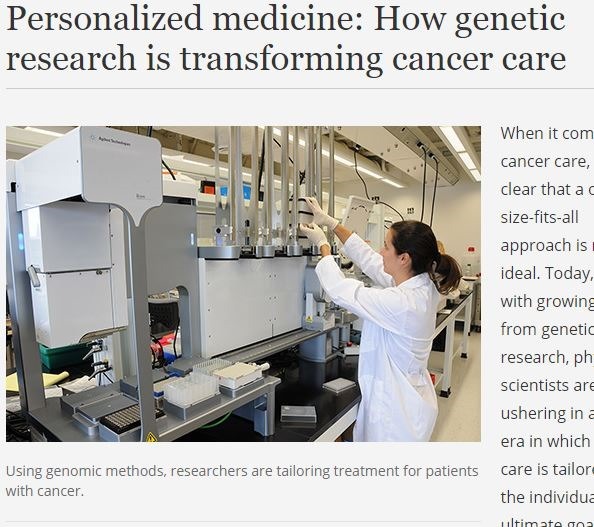 My efforts are geared to the more positive aspects of research now, but as usual some negative creeps in and something I feel necessary to bring to the light of folks. I write much about hoaxing, because I feel an educated public assists us in our search. 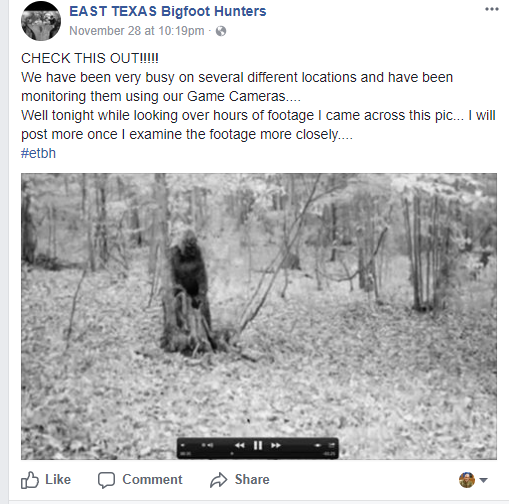 Most recently, a relatively new group called the East Texas Bigfoot Hunters, put a post, on what is becoming the bane of the community’s existence, their Facebook page, this post. Well to many of us that have been around a while this photo has been popping up over the last few years or so, known as The “Greenbrier Video,” so it was no big surprise and was obvious this was a hoax. So when people started to question the picture that were in the know, particularly researcher Daz Brown and confronted, how quick the story changed and the pointing of the finger to the alleged anonymous submitter of the “picture.” Prompting a change in the story. Seems to be a little discrepancy from what was said in the first two posts to now this explanation. They went from reviewing hours of footage, to still examining footage to now photo just emailed. Also note that “the property owners,” has become the property owner. Claim, you are a Victim of a Hoax. Now look at the statements in the reply and the post regarding this. Here’s my concerns. 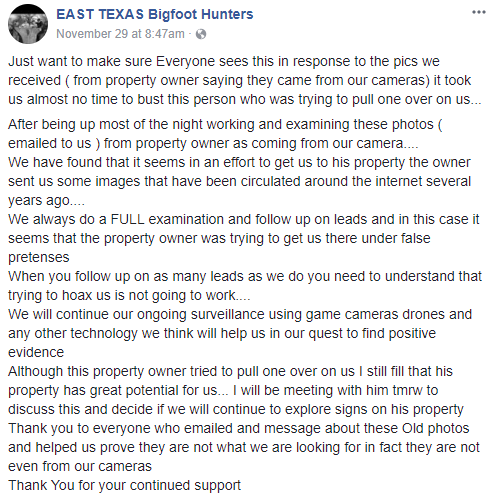 Third, They didn’t post at all they busted the property owner, not until Daz Brown came out and told them the evidence they were presenting as their own was a hoax. 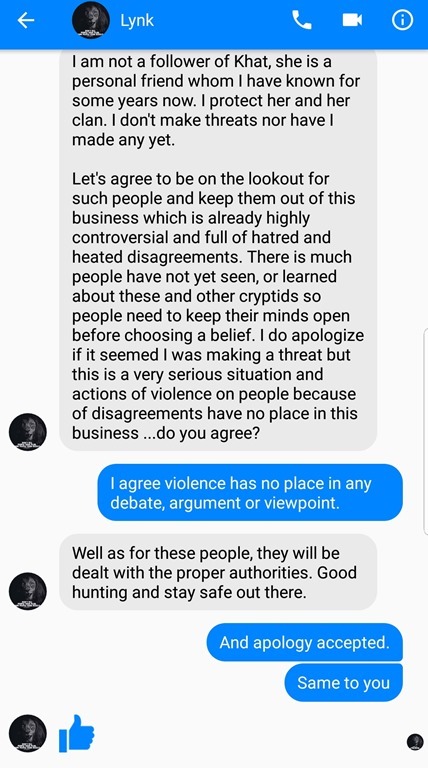 Again this was BEFORE ANY POSTING BY ETBH claiming it was a hoax. Which should have taken them no time at all and nothing would have been posted had they just Googled the image. Seems like they are trying to say THEY busted it. Wrong. Third, they still want to meet with the property owner because the area has great potential….WHAT?? So it was very obvious this was a screen cap, which they had said they caught after monitoring their game cams. Why wouldn’t they know what terrain is in their shot to begin with? Please don’t tell me that you let the property owner set your cams up as an excuse because that doesn’t necessarily wash with me either. 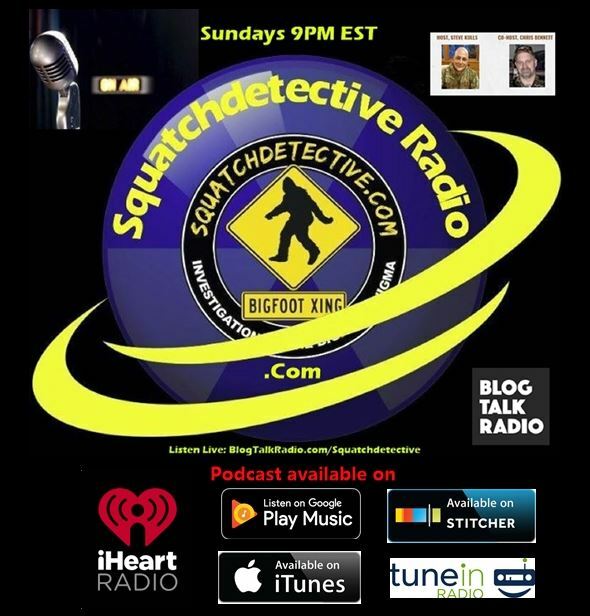 May I be remiss to address the old excuse “We were hoaxed,” to remember the 2005 episode of C2C radio, regarding a bigfoot capture where a gentleman from Menlo Park stated, “We have scientists looking at it right now,” only to be days later using the same excuse. In another post they talk about using “due diligence.” Well said due diligence, would normally dictate, that before posting such amazing evidence and claims, that due diligence would be done FIRST. Seems to me more due diligence was done on T-shirt and decal designs. And it is ironic, that the news article they were featured in also had two other characters profiled on this blog, the very gentleman from Menlo Park, and Bob Garret. Common sense tells us what this really is. 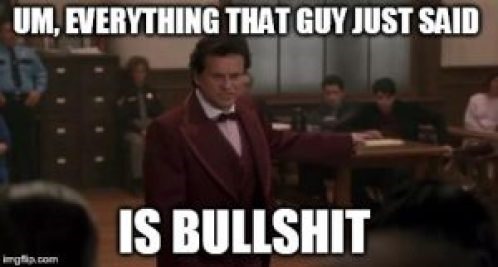 Well that’s the way I see it anyway, but the reader is the real jury. 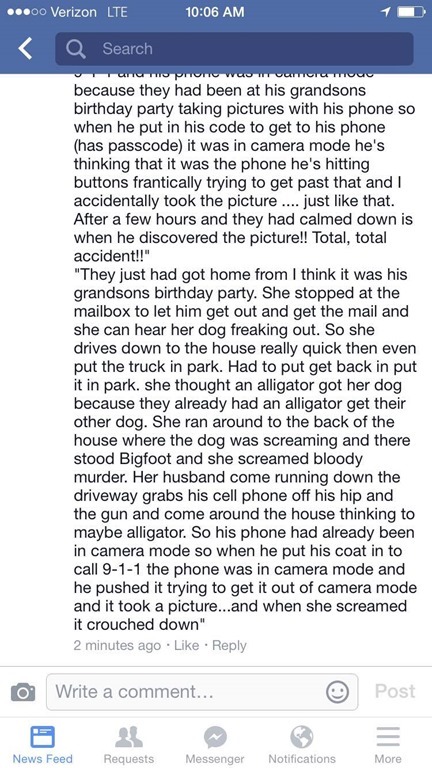 I have often said that in order to validate a picture you must first validate the story behind it. 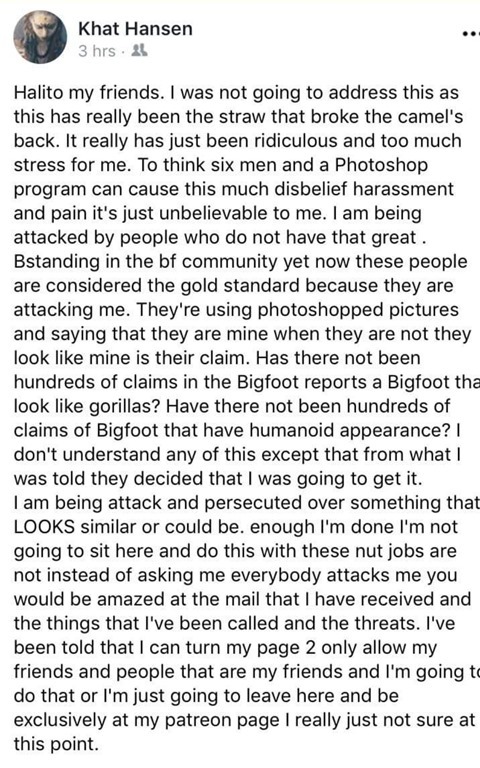 First lets understand the story as it first appeared in the Facebook Group, The Bigfoot Community whom has graciously allowed me to illustrate for education purposes this dissertation on debunking photos. Okay so I am not so impressed with the picture. But let’s do some follow through on the story. But as the story went on it became more elaborate, involving DNR, Sheriffs, sworn affidavits and dogs to track the beast. 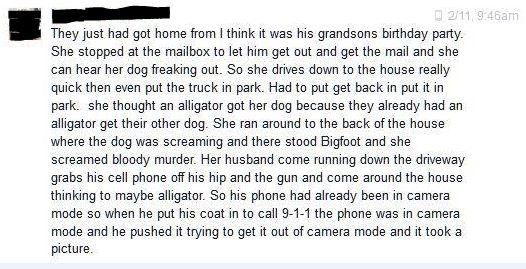 This didn’t make the news like all the other police responded Bigfoot events why? We see this typically in hoaxes. But here we have some issue, I mean how did they get a hold of the sheriff with no cell towers nearby? 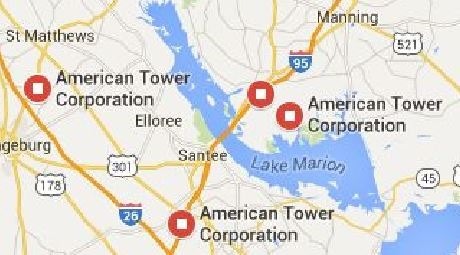 But according to Google Maps, there seem to be an abundance of cell towers on Lake Marion, which is part of Orangeburg County, South Carolina. I-95 dissects the lake in half. But there seems to be plenty of cell phone coverage on Lake Marion. Now for a quick break for some interesting sight seeing. 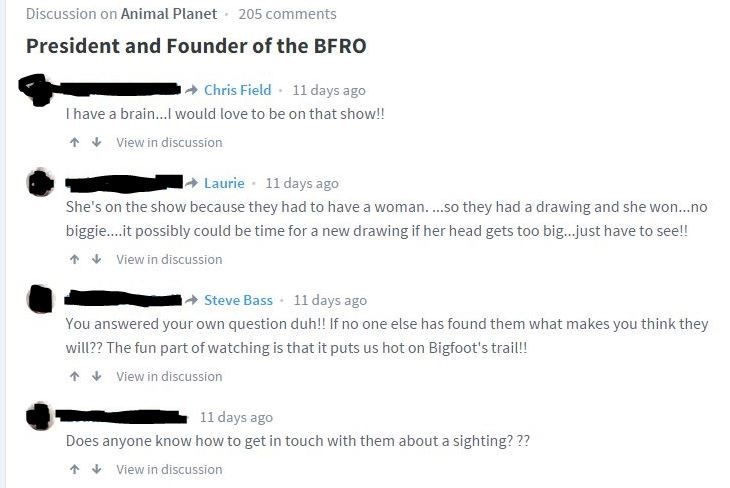 Meanwhile the day after initiating the conversation with Finding Bigfoot’s Ranae Holland, our person “with the cousin” now takes to the Animal Planet site and posts four separate times. 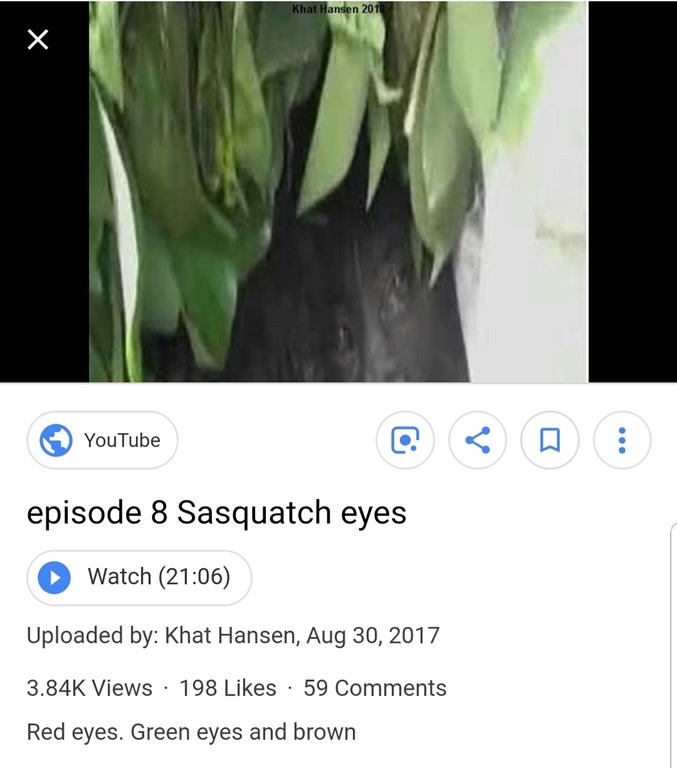 Now the whole Finding Bigfoot / Animal Planet tryst, really is a distraction, for most, but there seems to be a “look at me” motive going on and an admitted desire on the part of the “submitter” to be on television. 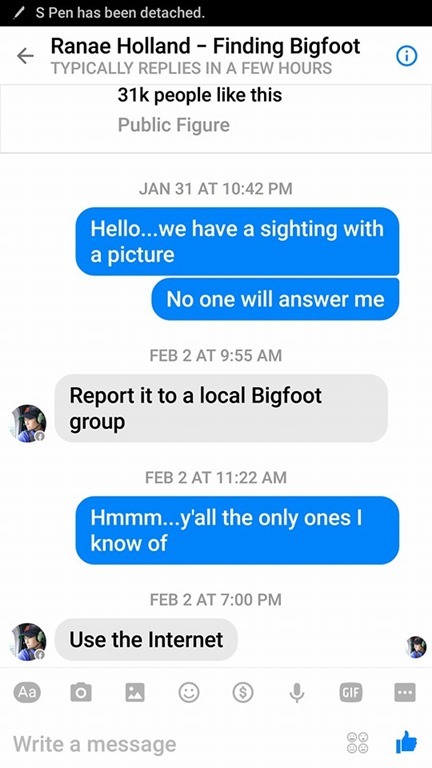 So with the failed attempt at Finding Bigfoot, it was off to one of the, if not the largest Facebook group about our hairy friends, The Bigfoot Community group. Enter my foray after seeing the post, and within 24 hours of asking to get a copy of the original photo, allegedly from a cell phone, I was blocked over a rather minor reason. Because I had stated I had not gotten the originals as I was promised that evening to someone who posted that FACT publicly. Now yes there were some people that got downright nasty with her over the picture. I don’t necessarily condone such action and I have always chosen to fight with fact and interrogative questions rather than insults or taunts. So yes a lot of us were very skeptical, plus we all thought the picture looked, well…not so good. But research the story before trying to find any merit, if there is any merit with the photo. So I was effectively cut out…or was I? Enter Mark, my new friend from Canada. He too picked up the story as well, and here was his initial post. No mention of DNR, Sheriffs or Bloodhounds. 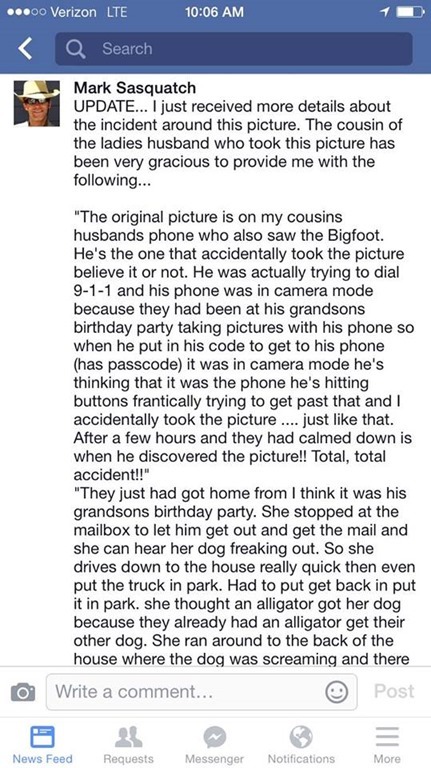 The picture was taken by accident?Well that’s a first we’ve heard of that. Big discrepancies in the stories? Things not making sense? You bet. Well within 12 hours of asking for an original photo from the “Submitter” he was blocked for no apparent reason. 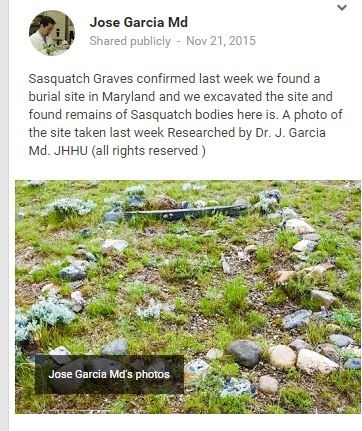 The BC Admins trying to obtain more info…an original photo, even a date, all nothing. Which is what I expected. Very typical for hoaxers to play the part of a victim, because they make a claim and folks want just the simplest of things. More pics, the original pic, how about the date and time. Not ambiguous, a week ago, or to another two weeks ago. The behind the scenes ambiguity, stalling, or just not asking the simplist of questions are all huge flags. Problem number one is why isn’t her cousin doing all this? Being the spokesperson for his own photograph, not his cousins wife some two hours away? This is what I call a potential setup for what I call the “Biscardi Loophole.” If she is caught, it’s not her fault, it is her nameless cousin’s husband that duped her. Now I kept asking if we could get an original copy of the photo. I asked everyone involved to ask that question, and it was promised and promised, but never delivered upon. The lesson here is, have patience. Have facts before calling something a hoax on just looks alone. Your opinion is not evidence. Give a hoaxer enough rope, they hang themselves. She could have been gigged on the story flaws and inconsistencies alone or the photo metadata alone, but having them both is having the beyond certainty box checked and a decision you can sleep on. The other flip side is there is nothing that can be done to recover from this. 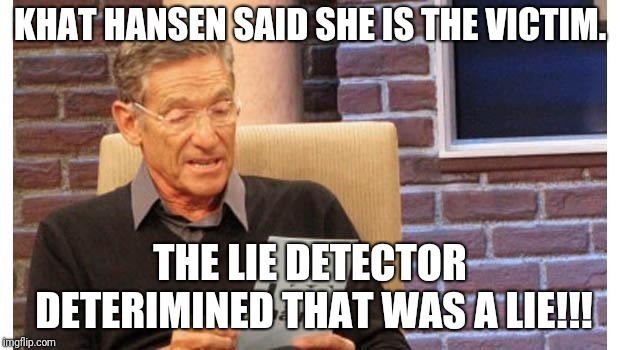 She has been trying to play the victim, but how can she be a victim in the light of EVIDENCE? The answer is she can’t. She should go as quickly as she came and as quietly as possible. 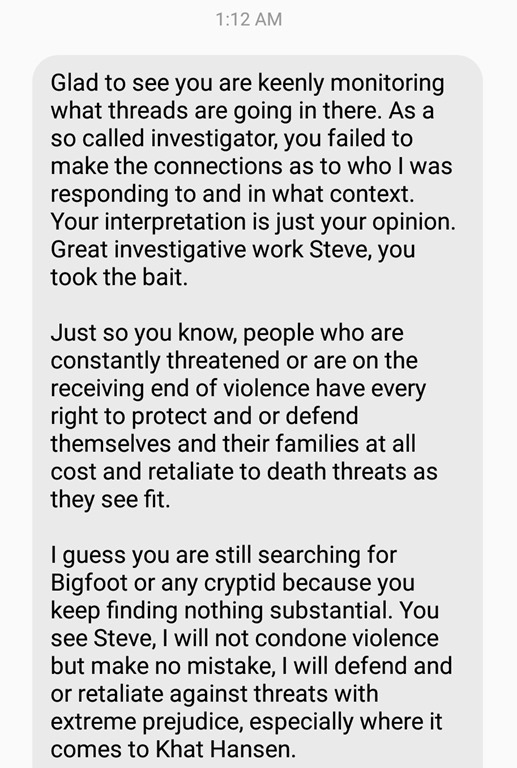 Special thanks to Suzy M., Robin R. and Brenda from The Bigfoot Community. 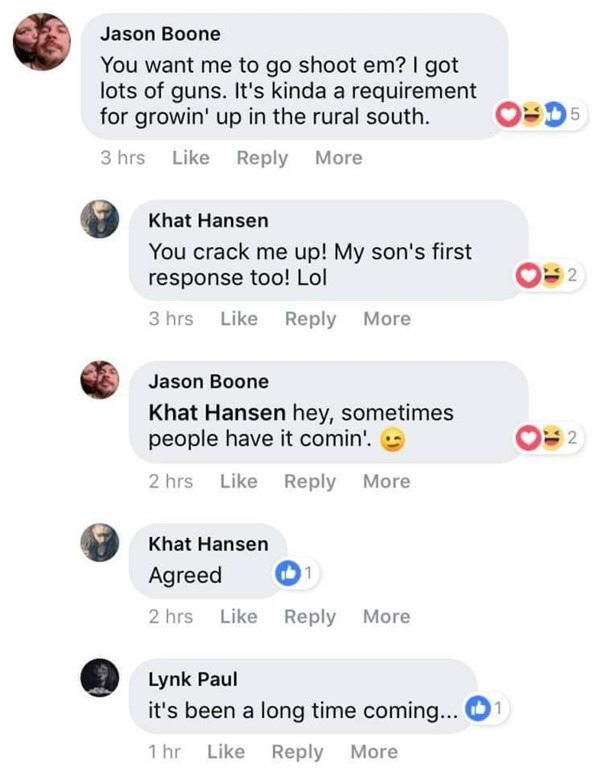 Also props to Shane Corson for getting me in touch with Mark “Sasquatch,” and Super props to Mark for putting the dunk onto her two storylines. Again the Submitter’s name has been omitted so her name isn’t further exposed. At least not by me anyway. And I do wish that people let her go in peace without taunting, “told ya so’s,” and the like. Be satisfied, by what we’ve done here. She will see this and know that we weren’t fooled, and that everything we do, we investigate. With an open mind, while remaining objective and the outcome is the truth, be it good, bad or downright ugly. And that’s what we’re about!!! 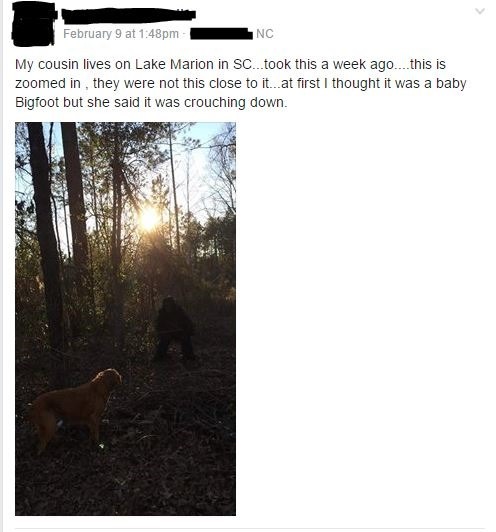 Alleged Bigfoot Group outted as a hoax. Thanks to a few intrepid researchers out there this has been brought to my attention and a little necessary investigation was performed to come out with this gem of an outcome. 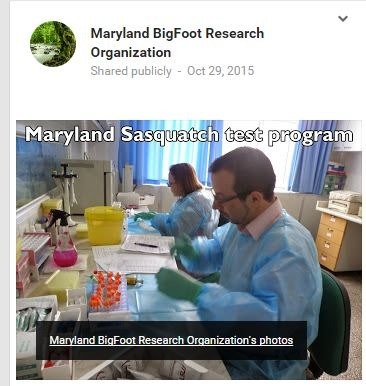 Since early this year a group calling itself the Maryland Bigfoot Research Organization has been touting having a state of the art facility and a highly educated doctor backing them, Dr. Jose Garcia, MD. 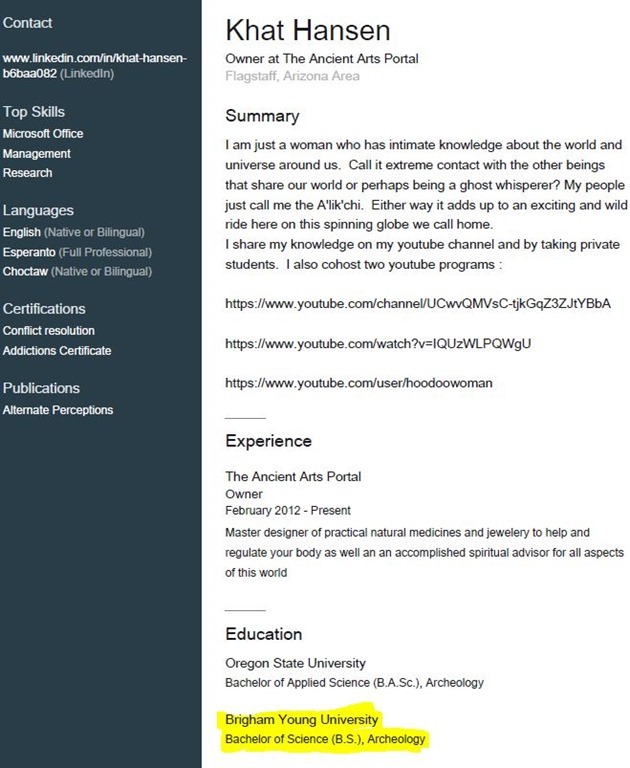 who claims to work at John Hopkins University and only emerged with his own Google+ account three weeks ago. This ringer is being run on Google+ social network and they have a YouTube account as well which they are using to hijack content. Wild claim found on the “Doc’s” Google+ page. I am afraid that people might have the inclination to send evidence there. How is this a hoax you ask??? 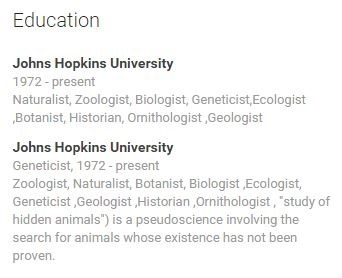 Impressive credentials for an MD wouldn’t ya say? 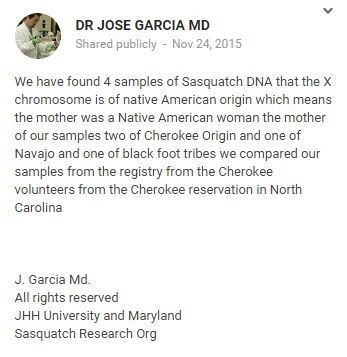 Except our sources that dropped this story in our lap, called John Hopkins and they know of no doctor there by Jose Garcia. 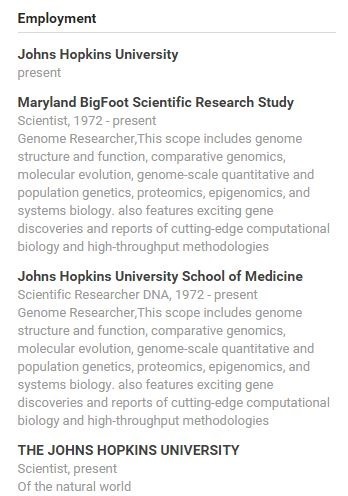 Now we know that the person that started the Maryland Research Organization page many months was also opened by someone claiming to be Dr. Jose Garcia as well. 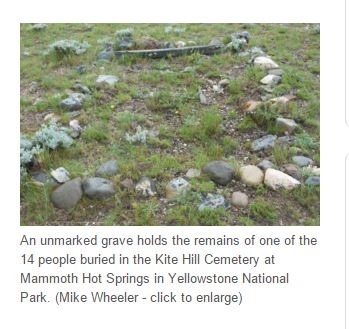 Actually from Kite Hill in Yellowstone. On left is their post..on right is where the photograph came from, a gallery site called GalleryHip.com listed under HIV Pathology. 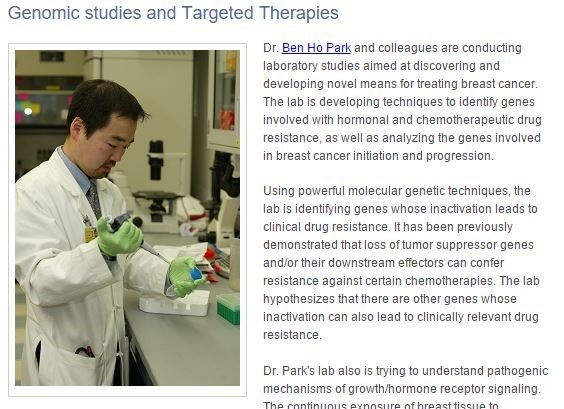 On left is the MBRO post and on right is a blog article on a DNA testing lab in St. Louis. I am also put off by the gross plagiarism of Dr. Henner Fahrenbach’s and the omission of even John Green’s quote in Dr. Fahrenbach’s work. Simple cut and paste job with the only thing missing is the credits to who REALLY wrote it and who was quoted. So given the claims and the ease of debunking these claims, not seen since the likes of LNP, this is a hoax of the obvious proportion. So my next question is who did it? Just who is behind the MBRO & Doc Garcia? What we do know is the Google+ accounts are an obvious hoax. The pages are run by a man by the name of James May, from Middle River, Maryland who is a partner in a sign company and is a current or former DJ who used the stage name “Jose Garcia.” He also has a Facebook account under that name as well. Thanks to “Jose” using his business address, we linked everything together very neatly. 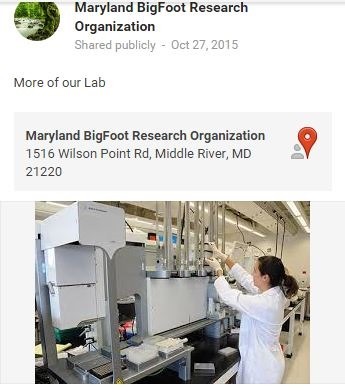 First I database searched the address he posts on the Maryland Bigfoot page, and there is listed a James May. In the YouTube comments, “the doctor” throws an email address out there for someone to contact him. We do a search of the web with the email address, and we find the business name with the name James May posted as a partner. There were other relevant database backups as well. YouTube Comment left by the hoaxer. A Google search also turned up the email address linked to both Google+ pages. Eventually we got the company profile listing James May as a partner. Database on the address of Mr. May comes up as the address publicly posted on the MBRO Google+ page. 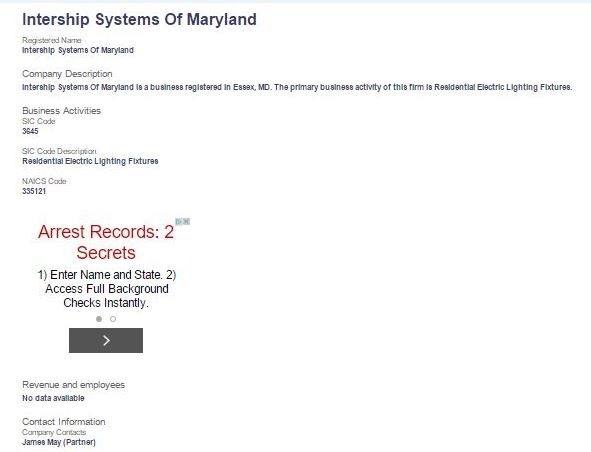 An internet search using the business name corresponds. 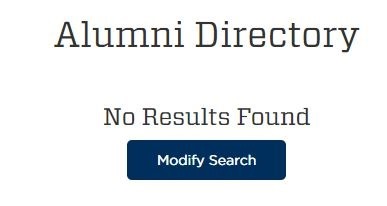 With the Garcia profile on Facebook it led us to the Twitter page which is also supported with the database search results. Not so coincidentally, the Jose “Jim” Garcia page which led us Twitter account has this photo on it! Hmm..an Asian man doing lab tests. 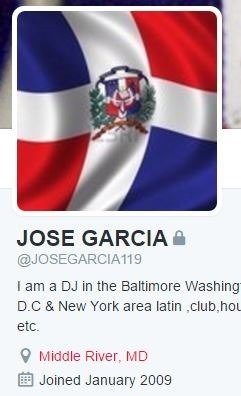 Apparently he’s a Doctor who also owns a DJ business! Bottom line folks, don’t send him anything… He’s a HOAXER!!! 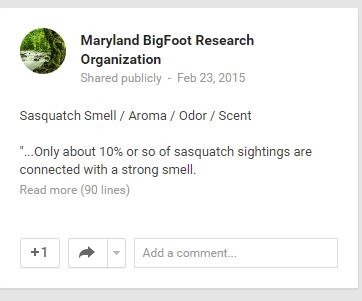 No matter the prophesies of the Bigfoot community for years has foretold in years previous, it HAS happened. KALISPELL – Police are still investigating a strange story in Kalispell. A man dressed up as Bigfoot was struck and killed by two passing vehicles. Police say the crash occurred on Highway 93 South of Kalispell. They say 44-Year-Old Randy Lee Tenley was walking South and was struck by two vehicles. 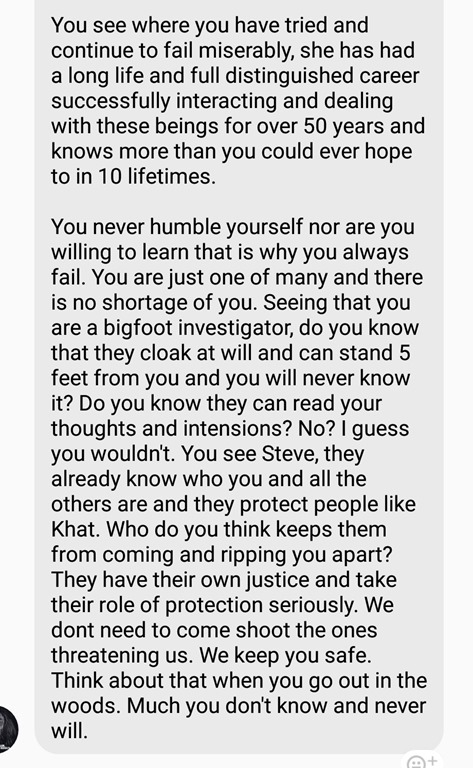 Montana Highway Patrol Officer Jim Schneider said Randy’s friends say he was trying to make people think they saw Bigfoot. 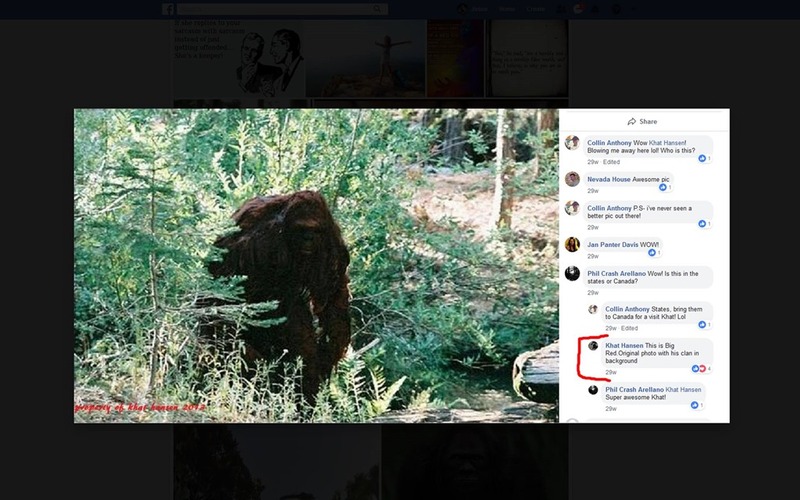 "He had this Ghillie suit and was going to attempt to get the attention of passing motorist and through I don’t know what means make them feel like they saw Bigfoot or sasquatch," Schneider said. Police said Randy was in the middle of the right lane in a spot where motorist could not see him. No one is in custody and the investigation will continue. To me… there’s really not much to say. “I told ya so,” doesn’t work. Or anything of a triumphant nature for that matter. “I saw this coming,” doesn’t seem to fit the bill either. My bottom line is, that there is the death of a forty plus year old man. Thankfully it wasn’t a kid. Fact is, as Loren Coleman pointed out on Cryptomundo.com, both drivers were in their teens and very likely traumatized by this event for life. Tenley’s motivations were ascertained during interviews with friends who were not in the immediate area but were nearby when the man was struck at about 10:30 p.m.
Tenley was on the southbound side of the highway, about a half mile south of the highway’s intersection with Rocky Point Road. “He was in the right-hand lane of travel and the vehicle was unable to avoid him and struck him,” Schneider said of the first vehicle driven by a 15-year-old girl from Somers. A second vehicle driven by a 17-year-old Somers girl also struck Tenley as he laid on the highway. And there is a death involved. Someone, somewhere is heartbroken, be it a spouse, significant other, mother, father, son, daughter or brother, sister. Let’s be cognoscente of that fact. If something can be made positive of this tragedy, use this as an example of why people should not do this. Not because of what we interpret the moral implications of the action, or because it makes us mad, but because its dangerous. What also needs to be impressed, that its not any safer in the forests. If someone decides to do that in the woods, they could be shot accidentally as well. It’s time to give our condolences, but at the same time, make it a teachable moment to people thinking about doing this. At the same time, since the story has gone viral, perhaps its time to speak to legislators to make such actions, in a respective state a crime, other than a violation or misdemeanor. Make it a felony. Tenley through his ill gotten attempt at humor, now effected many lives, not only of his own family, but the families of the young women driving the vehicles which struck him, which they will carry for the rest of their lives.